Once a bistro, that was turned into a gourmet brasserie, yet still retaining its original Art Deco and Art Nouveau styling, the Terminus Nord has been serving French cuisine for businessmen and travellers since 1925 who wish to enjoy a gourmet meal before boarding their train from the Gare de Nord. Formerly a train station bistro with a warm atmosphere, it was a popular place for people to come for a delightful meal prior to travelling, and when a gentleman fled from the Alsace region after it was annexed to Germany, he took over this bistro in Paris, and turned it into a gourmet brasserie where people would flock to and even enjoy live piano music. The relaxing calm atmosphere, its history and the decor have remained, and the Terminus Nord has gone from strength to strength, yet going inside is like stepping back in time to the beginning of the 20th century with its high ceilings, the mahogany wood, mirrors and copper. 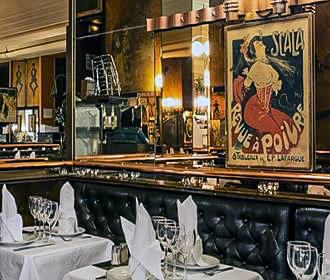 When visiting this brasserie the Art Deco influences of the chandeliers, wall lights, frescos and posters can be enjoyed within the main dining room, whereas the Art Nouveau styles from the Belle Epoque era are to be found in the small cosy lounge, which is at the back of the restaurant, and here you can enjoy the mosaics, glass features and many floral designs. And catering for the needs of travellers for over a century of departures from the Gare du Nord, which is actually the busiest train station in Paris, you will find that the staff at the Terminus Nord Brasserie are exceedingly efficient and treat everyone with same respect, whether it be an actor, parliamentary member or a tourist having been on holiday in the city of lights. The gourmet French cuisine complements the setting with its beautifully presented dishes mixing traditional classics with a modern touch and contemporary dishes to suit all tastes, and the Terminus Nord have certain specialities like calf’s sweetbread casserole with Morels and their signature dish of Bouillabaisse. 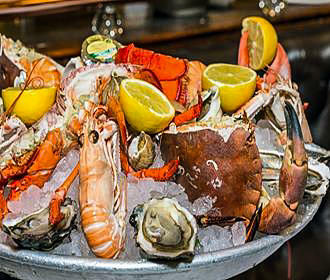 This gourmet restaurant in Paris also specialises in seafood dishes including platters that range in cost from €27 up to €124 as of 2014 with the ultimate being the Royal Platter that includes an assortment of 18 oysters along with a whole crab and lobster. Yet you can opt for shellfish or crustaceans such as lobster, crab, prawns, langoustines, oysters, mussels, etc all available individually depending upon your tastes or budget and these range in cost from €6.50 up to €43. Plus they have a seafood takeaway option as well. However, the Terminal Nord also provides Formulas, which are like specific menus and these are available every day except for the evening before a National French holiday, the holiday itself, or on other exceptional days like Valentines day. The standard Formula menu provides a starter and main course or main course and dessert for €28.50, or you could opt for a three course for €35.50 as of 2014, and with a choice for each course, you could be tempted by delights such as duck Foie Gras with a fruit chutney and toasted bread for starters followed by Chicken supreme served with fresh market vegetables. 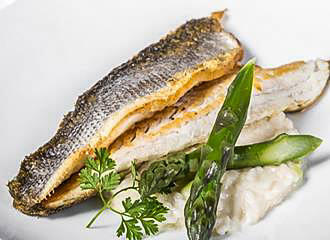 However, then Terminal Nord also has a Prestige Formula menu, which is a three course for €47 as of 2014 with starters such as crab meat and avocado tarter in citrus for starters followed by heart of rump steak with coarse mashed potatoes flavoured with black truffle for instance. 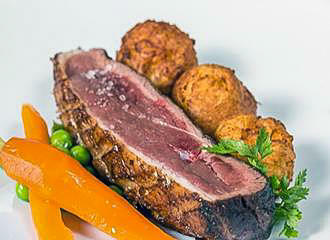 But there is also an a la carte menu with fish dishes ranging in cost from €23 up to €39 and meat main courses from €21 up to €36, along with a dedicated childrens menu available. 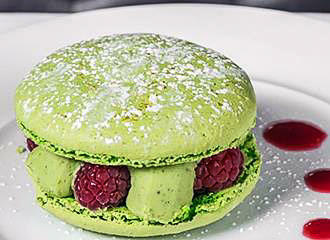 You could also opt for breakfast at this gourmet brasserie in Paris served daily from opening until 10.30am, plus there is a formula known as tea time, where you can enjoy a hot drink and a pastry, which is available at any time. So if you wish to have a memorable meal in a beautiful setting prior boarding your train back home, a family gathering, business meeting or even a romantic evening meal, then the Terminal Nord is a great place that will not disappoint. The Terminus Nord is open seven days a week all year round, normally from 7.30am through to midnight. However, on a Sunday it is only open from 8am through to 11pm, and this is the same times during the months of July and August along with on National French holidays. You may also be pleased to know that this restaurant in Paris is air conditioned, has disabled access, free WiFi and the staff also speak English, German and Spanish along with French, and there are also menus available in English as well. Breakfast is served from opening through to 10.30am and you can also have tea with a pastry any time of day, plus there is also a dedicated childrens menu, a seafood stand, express menu for those of you on a tight schedule and even a seafood takeaway option as well. 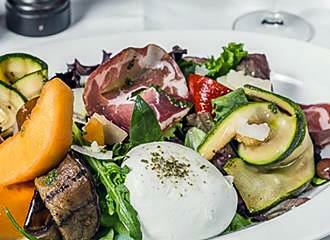 And when it comes to getting to the Terminus Nord gourmet restaurant, this is located in the 10th Arrondissement right by the Gare du Nord train station, which serves the Metro lines 4 and 5 along with the RER trains via lines B, D and E.